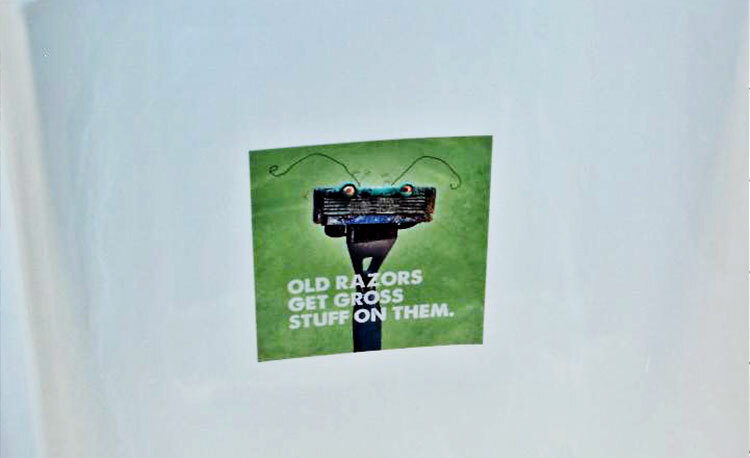 Dollar Shave Club (DSC) had never used OOH advertising before and wanted to do a test to prove the effectiveness of the medium. The initial challenge was determining the target audience. After some research and discussion with the brand, the focus became men age 18-49 with their core target being 18-34. The second challenge was to identify the most effective OOH options to reach their target with a compelling message. Grow subscribers for Dollar Shave Club’s mail-delivery personal grooming products. 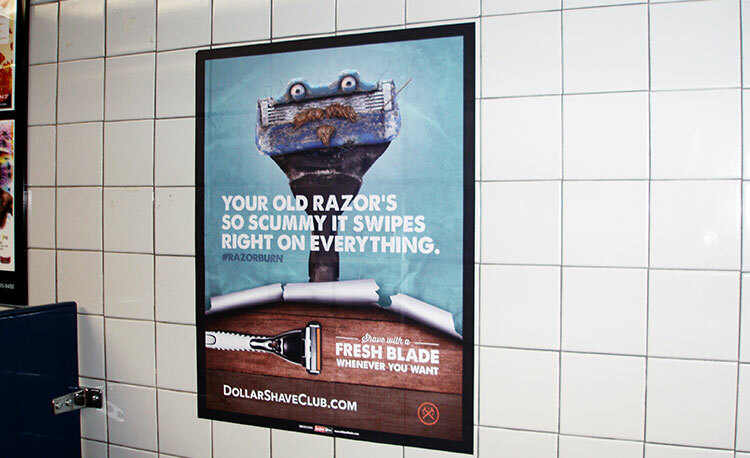 Dollar Shave Club used targeted contextual creative messaging against key areas in each target market – AllOver Media supported the effort by placing ads in men’s restrooms in bars. Identifying locations popular with young adult males ensured that the majority of ad impressions were delivered to people most likely to be potential DSC customers. Indoor advertising is uniquely suited to gender-specific targeting. Locating the ads in distraction-free zones such as above urinals also improves overall message engagement and recall.